Far below the ocean floor, sediments are teeming with bizarre zombie-like microbes. Although they're technically alive, they grow in slow motion, and can take decades for a single cell to divide—something their cousins at the surface do in a matter of minutes. A new study from the Woods Hole Oceanographic Institution (WHOI) is beginning to pick apart how they survive by examining their source of "food"—nearby molecules of organic carbon. The study helps further our understanding of the limitations of life on Earth and could help inform how life might exist on other planets. 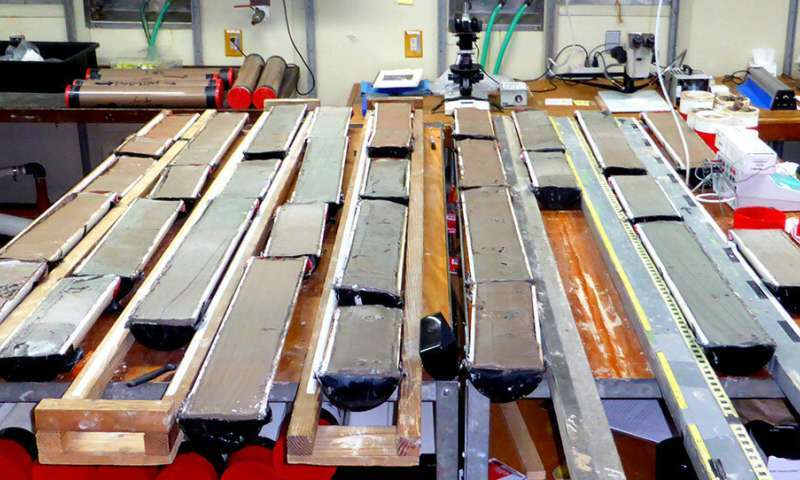 In a paper published in the January 21 issue of the journal Nature Geoscience, WHOI scientists examined long core samples taken aboard the R/V Knorr and R/V Revelle in the middle of the north Atlantic and south Pacific oceans. By analyzing the core's sediments using high intensity X-rays, the researchers found that they contained low levels of organic carbon molecules—bits of ancient proteins from long-dead organisms—preserved in sediment up to 25 million years old. Under normal circumstances, carbon like this would be snatched up quickly by microbes. 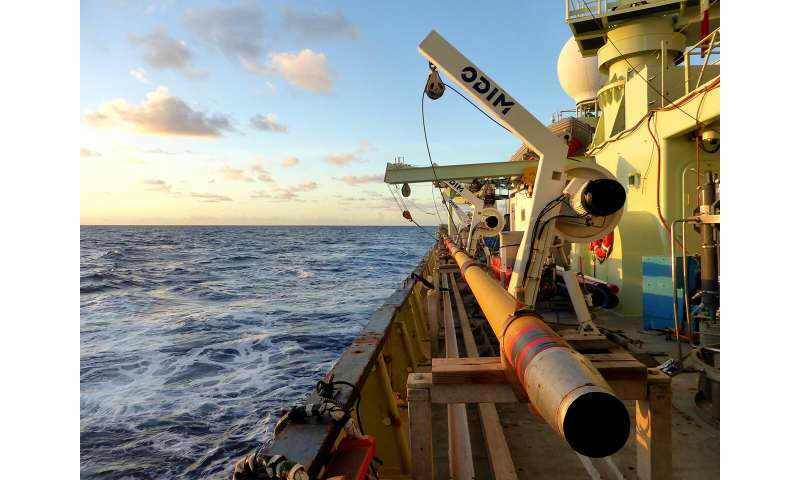 There's not a lot of it out there in deep mid-ocean sediments of the Atlantic and Pacific, making them tough places for microorganisms to survive. Any bacteria that stumbled across it would be treated to a tiny feast. But for some reason, the microbes nearby aren't taking full advantage of this windfall. "From a pure chemistry perspective, they should be able to metabolize all of that carbon, but they're not," says Emily Estes, lead author on the paper, who is currently a postdoctoral researcher at the University of Delaware. At the time of the study, Estes was a PhD student in the MIT-WHOI Joint Program, working directly with co-author Colleen Hansel. The presence of carbon is unusual, she adds, because the sediments contain oxygen as well. Usually, the types of microbes that thrive there would use both chemicals. Oxygen acts as a sort of "fuel" for metabolism and other biochemical reactions inside the organisms; carbon provides raw materials for those reactions, and lets the cells rebuild their own structures and organelles. But in the deep sediments, the balance between the two is oddly lopsided. It's unclear exactly why excess organic carbon remains, Estes says, but her study has ruled out at least one existing explanation. Previous research suggested that the microbes weren't "eating" excess carbon because it was in a form they couldn't metabolize. 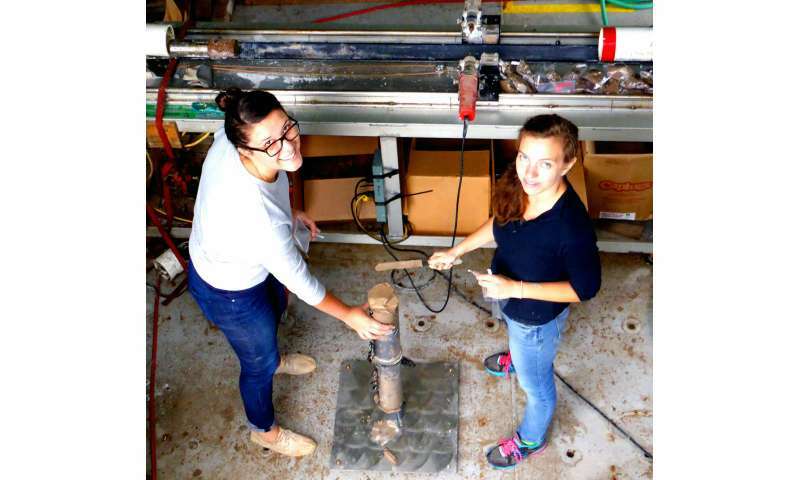 Estes and her colleagues, however, found that the organic carbon is in a form that is usable to microbes and has essentially the same structure throughout the sediment. Instead, she says, a more plausible answer is that the carbon has fused to minerals in the sediments, making it unavailable. She also offers a third and likely most dominant mechanism: that the microbes can't physically reach the excess carbon. Deep under the ocean floor, this food source is very sparsely distributed, and the microbes too sluggish to do much searching. "From a microbe's point of view, the carbon may be just out of reach. When you're living in a state without much energy to spare, like these organisms, it may just be too difficult to swim or crawl around to find it," says Colleen Hansel, a microbial geochemist at WHOI. "What particularly excites me is that this research may help us understand some of the limitations on life in general, whether it's under the sea floor, or on another planet or moon," she adds. "When considering the conditions that may support extraterrestrial microbial life, the physical environment may be just as important as the chemical one. Microbes living in an environment that has islands of nutrients that are physically separated and with low diffusion simply can't make use of that energy source to grow." When humans dive too deep, the chemistry of our air changes with the pressure and our normal atmosphere becomes toxic. Perhaps the microbes are dealing with pressure related issues to their not being able to process the carbon and oxygen that surface and near-surface microbes can do with ease. Energy-intensive chemical chain workarounds would explain the slow processing periods.